Ms. Heston received a Bachelor of Arts in Interdisciplinary Early Childhood Education from Morehead State University. She is currently seeking a Master's degree in Special Education and Teacher Leadership from Campbellsville University. She also serves on the Spiritual Life Committee at CKS. Ms. Michels graduated from the University of Cincinnati with a Bachelor’s degree in education with a concentration in special education. She is also trained in Montessori early childhood education. Her experience is a mix of teaching, case management, and work with families. Mrs. Cupolo has a Bachelor of Science in Speech and Language Pathology and a degree in Elementary Education from EKU. She also has a Master's degree in Elementary reading Instruction through the University of the Cumberlands. Mrs. Cupolo has presented at the national I Teach K conference, OCEA conference, and co-authored Stirring Up Literacy: A Guide to Teaching Emergent Reading. She also serves as director of the after school program, chairs the Stewardship Committee and organizes the Summer camps at CKS. 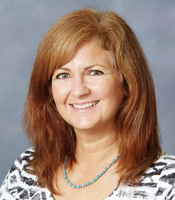 Mrs. Neff has a Bachelor of Arts from the University of Missouri in Organizational Communication, as well as a degree in Education from Columbia College. Mrs. Neff is currently finishing her Master's in Elementary Education. Prior to being an Instructional Assistant at Christ the King, Mrs. Neff worked for the University of Missouri as the Admissions Group Coordinator for 5 years. She is also a coach for Girls on the Run. Mrs. Sciretta has a Bachelor of Science in Education from Penn State University and completed her student teaching in Newcastle, England. Amy has an AAS in Computer Programming and an AAS in Information Technology. She is also CompTia A+ certified. Amy's children have attended Christ the King since 2011. She has been a homeroom parent, PTO secretary, substitute teacher, and active volunteer during her children's time at Christ the King. Mrs. Rives has a Bachelor of Arts in Education from the University of Kentucky. She has been an Instructional Assistant at Christ the King since 1990.